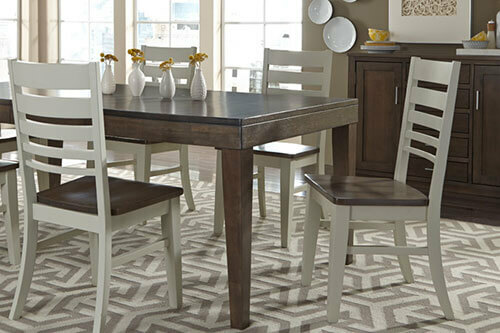 Family dinners, celebrations, and more… For many, the dining room table is the heart of the home. 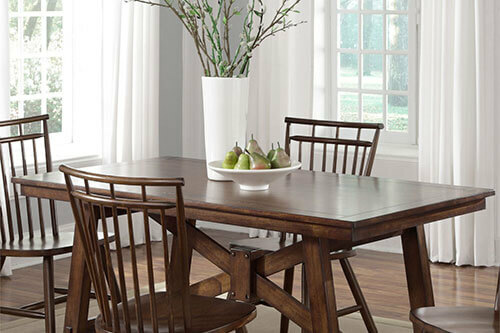 Your dining room furniture sets the style for your entire room: elegant and traditional, rustic or casual, transitional or modern, or maybe an eclectic mix of styles. It’s up to you to decorate your home what you love! 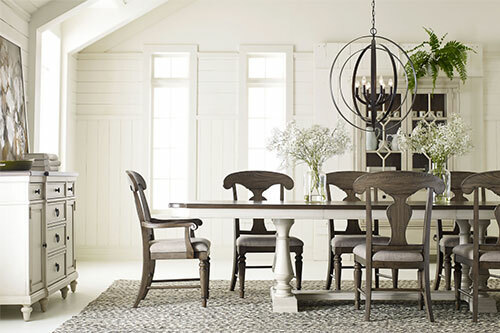 With many styles of dining room sets on our showroom floor, and hundreds more available by order, make us your first stop when it’s time for new dining room furniture. 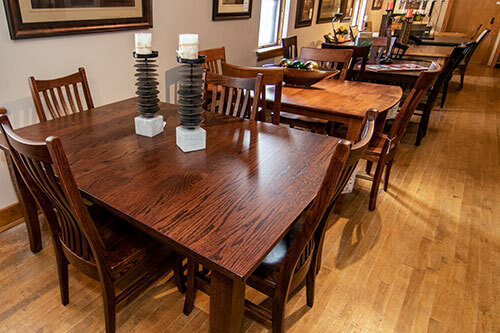 Whether you are looking for a traditional dining set, or high top bistro table for your breakfast room or bar, we have it. 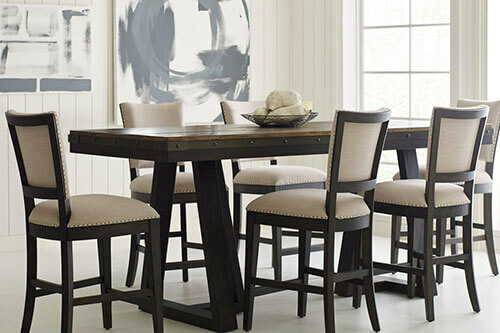 We recommend that our customers look into custom dining room sets. Many of the lines we carry offer several custom options for each table style. The stain and finish, leg style, number of leaves – even the table top shape can be customized to suit your taste. 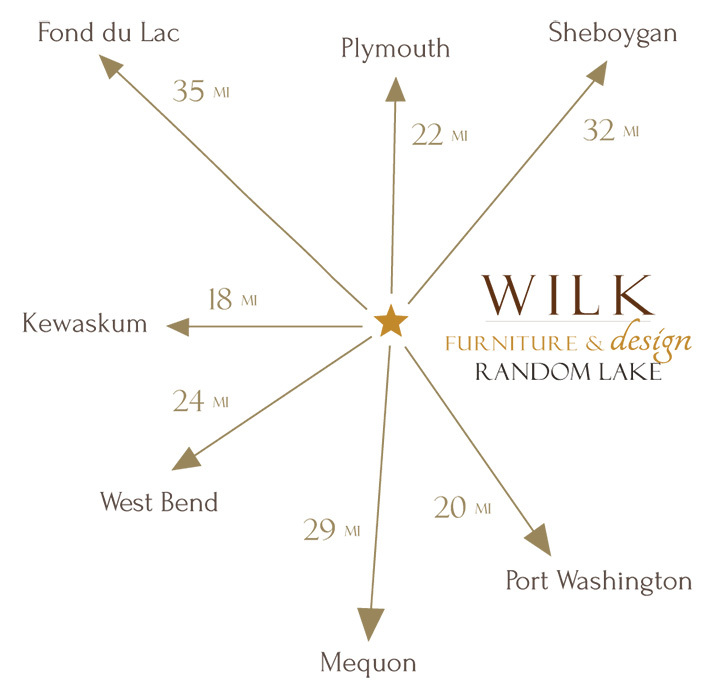 For example, take a look at the Custom Design Options for Door County Furniture. We encourage you to bring in ideas and pictures to show us exactly you’re looking for. Our Professional Designers are here to help you achieve the dining room of your dreams. Find the perfect area rugs, decorative pillows, lamps, mirrors, table centerpieces, and other decorative home accents to compliment your stylish new dining room furniture.